Although one of the more quieter months, January is a winter wonderland paradise. Snow covers the ground and as the days are shorter, expect the northern lights to be dancing in the sky. Frosty streets and fewer crowds mean that Iceland is yours to explore. A world away from what would greet you in the summer, January in Iceland is like no other. As you would expect, January in Iceland is cold. The average temperature in Reykjavik in January is between 1°C and -1°C (between 30°F and 33°F). 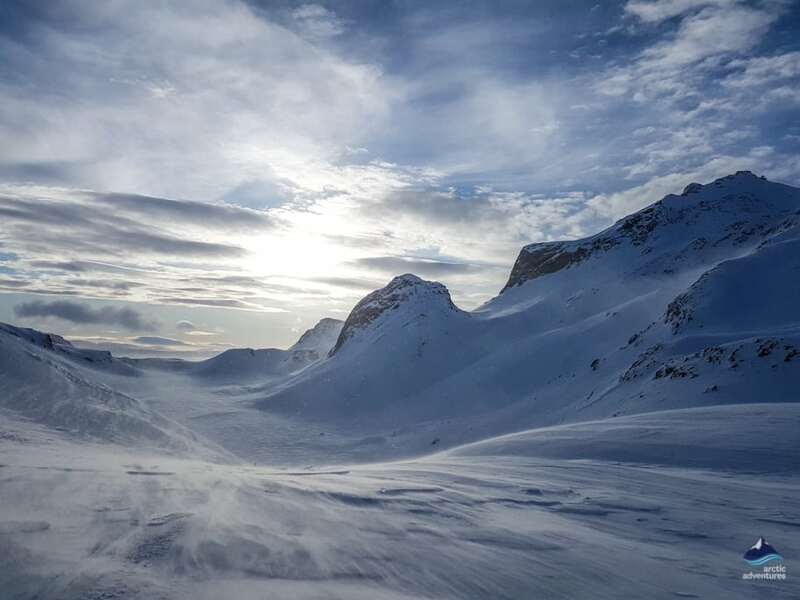 The coldest temperature ever recorded in Reykjavik was -10°C (14°F). I think its safe to say that no one wants this to be on holiday in Iceland when the weather decides it wants to beat its personal record. Dig out your waterproof clothes as January is a wet month, whether that means snow, sleet, hail or rain, expect it all. Another thing to be aware of is the wind, it’s very likely that at least one time you will become extremely windswept. Probably without warning. Just make sure you’re wearing a hat so no one can see the state it left your hair in. On a serious note, check the weather for any storms as it may limit what tours or activities you can do. Trying to drive around the Ring Road in wind and ice will not be the highlight of your holiday. As much as you can hope and pray for good weather, you’re in Iceland, and in Iceland, the weather can’t make up its mind. So pack for every occasion. There isn’t a huge amount of sunlight in January, which can be seen as a downfall of travelling at this time of the year. But, it does mean more time to chase the Northern Lights. On January 1st in 2018, there was only 4 hours and 20 minutes of daylight. With the sun rising at 11:21 and setting again at 15:41. However, by the end of the month, there was a total of 6 hours and 53 minutes of sunlight. Rising slightly earlier at 10:15 and setting at 17:08. So if you’re wanting more daylight to explore but still want to visit in Winter then plan your travels later on in the month. In the north of the country in Akureyri for example, the hours of sunlight are even more so limited. The sun rises at 11:32 and sets at 15:00. So make sure you get all your exploring done in these times. Make sure you plan ahead – as already mentioned the weather is not predictable and the window of daylight small so make sure you are well organised and always have a plan B. 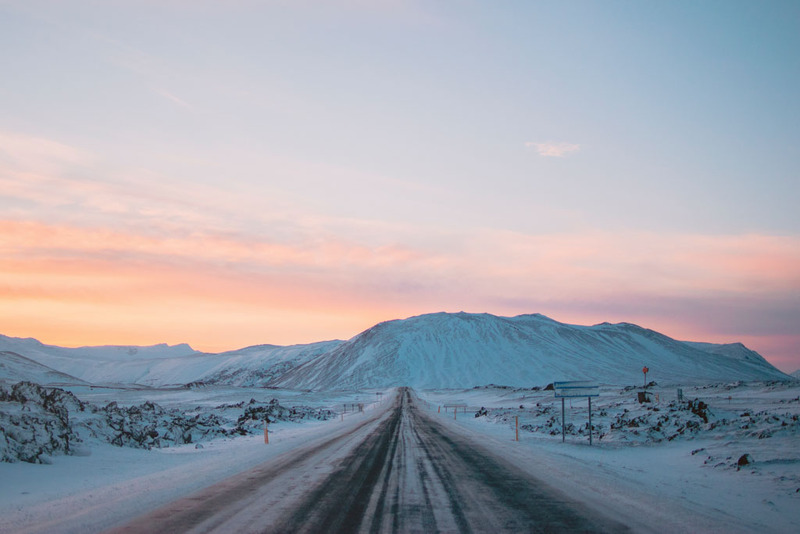 Understand the dangers of driving – if you’re not an experienced driver in harsh weather conditions, don’t make Iceland your first attempt. It’s more than likely to end badly and Iceland is full of experienced guides to drive you around. Book all your tours in advance – spaces fill up very quickly and you will miss out seeing the most incredible sights. Bring a camera – don’t follow in my footsteps and move to Iceland forgetting her camera. Photo’s don’t do any justice to nature here anyway, but even less so on your phone camera. Trust me on this one! 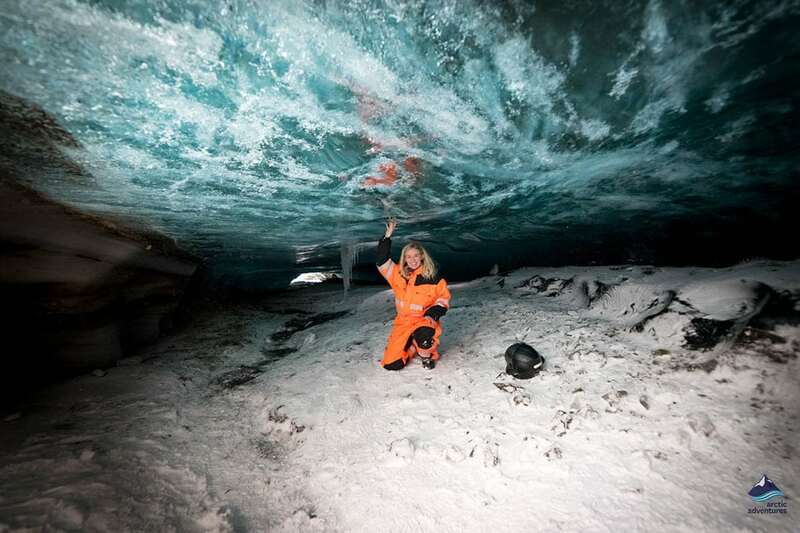 Ice Caves – you are in for a treat! 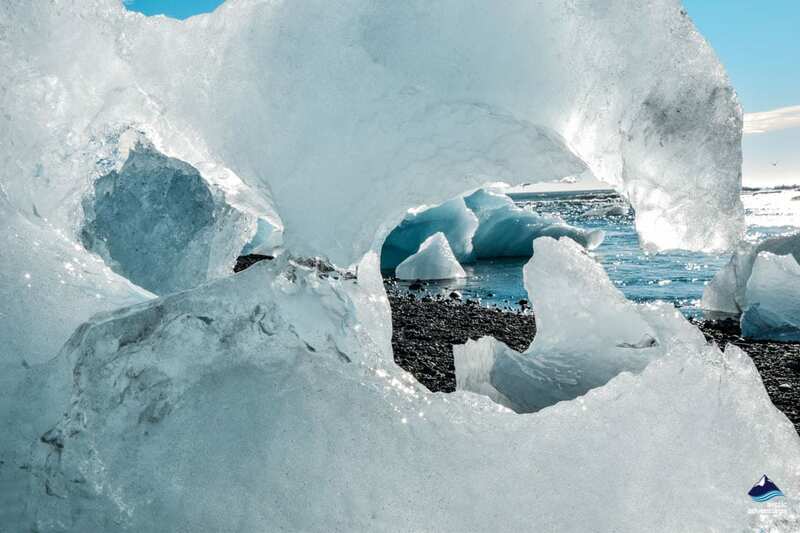 Your adventurous streak will not be disappointed with the beautiful glaciers Iceland has to offer. The low temperatures ensure that the structure of the caves are kept in good shape for you to go inside. 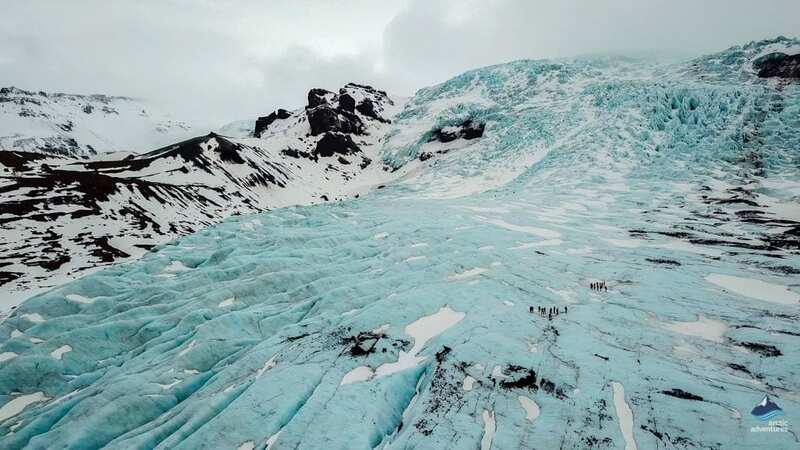 Europe’s largest ice cap named Vatnajökull is an amazing spot to hike, tour and explore. 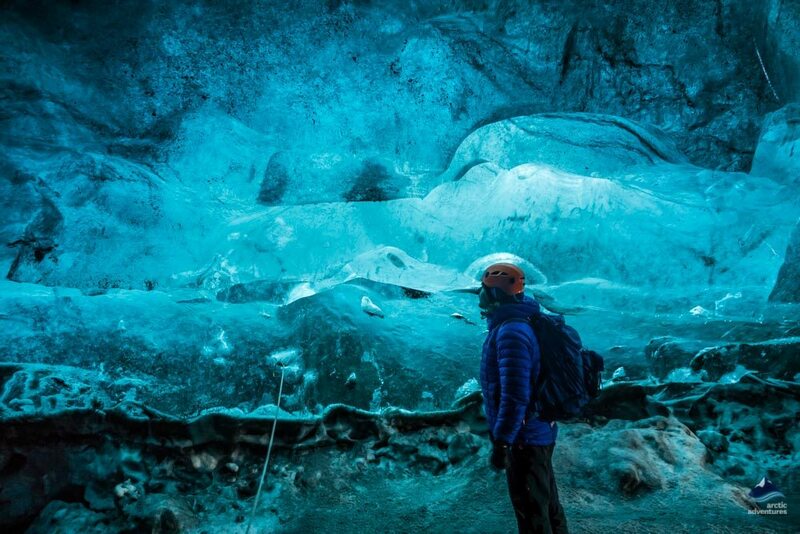 Mýrdalsjökull is an ice cave under a volcano and known to be very blue in colour. You’ll thank me that you packed your camera for this one. 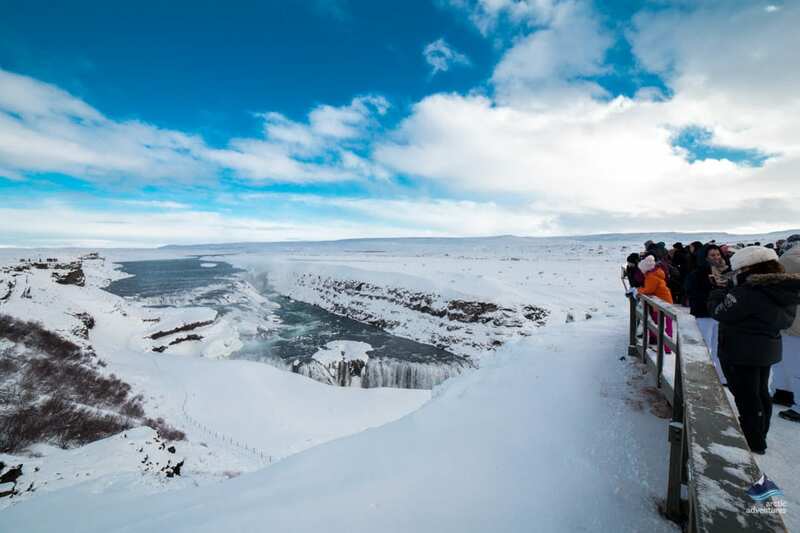 Golden Circle – getting to see the golden circle in the winter is completely different than the summer. Seeing a 32-metre high waterfall frozen over, magical! Witnessing a national park covered in snow, amazing! Snorkelling between tectonic plates, I’m not sure what more you could ask for on a winter adventure personally. Reykjavik covered in snow – Taking the time to stroll around the capital city on a quiet month, with sparkling frost covering all corners of the town is breathtaking. The frozen pond, the glowing lights from shops and the smell of fresh food from restaurants and bakeries is a great way to end your holiday. After an action-packed holiday, finding a cosy place to have a hot chocolate and get your last glimpses of Reykjavik is the perfect chance to unwind. Horseback riding – wanting to add to unique experiences in Iceland, horseback riding on Icelandic horses in the middle of winter? No problem. This is a great way to take in the sights of mountains and landscapes in a very authentic way. 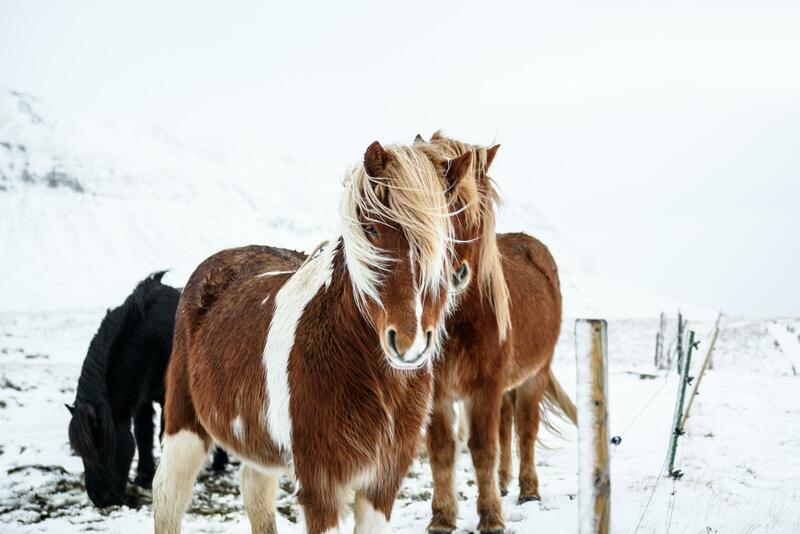 Plus its winter, so these adorable horses are all the more fluffy! In the coldness of the weather, this is one activity sure to melt your heart. 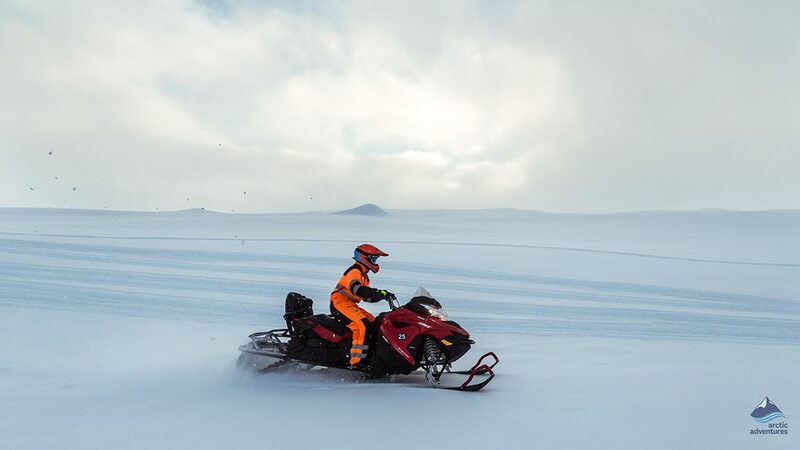 Snowmobiling – being a year-round activity, it is always an option for whenever you travel. 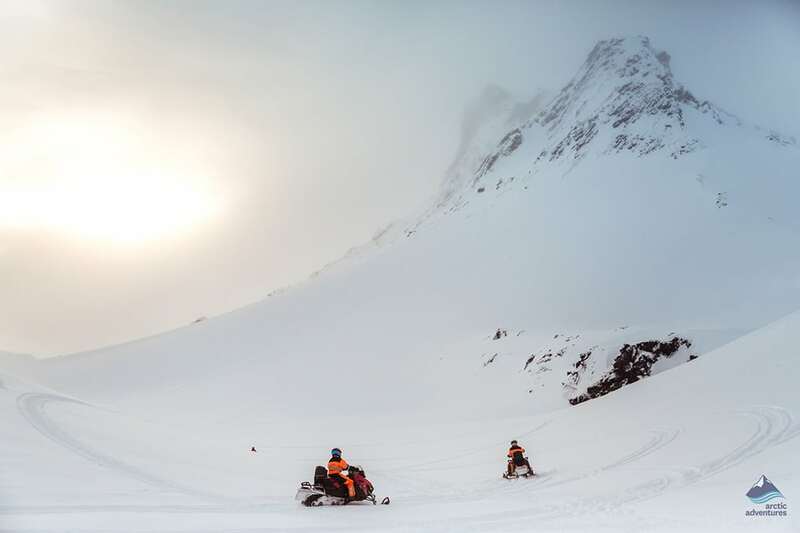 However, will your winter wonderland adventure be complete, if you don’t go snowmobiling in the crisp January snow? I don’t think so! Being the first person to drive over fresh snow is such a thrilling feeling you won’t want to miss out. Most of our tours depart from Reykjavik so the ease of getting to the destination is made a whole lot easier for you. Langjökull glacier is a favourite to drive across and the miles of snowy mountain views will blow you away. 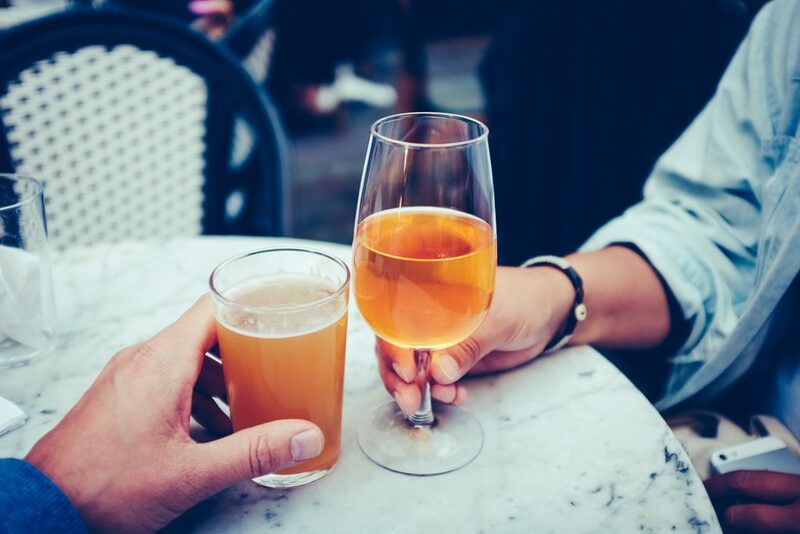 Explore Reykjavik nightlife – Of course, you should make sure you get all the sights and experiences in on your holiday. But what are holidays for, chilling out and relaxing. 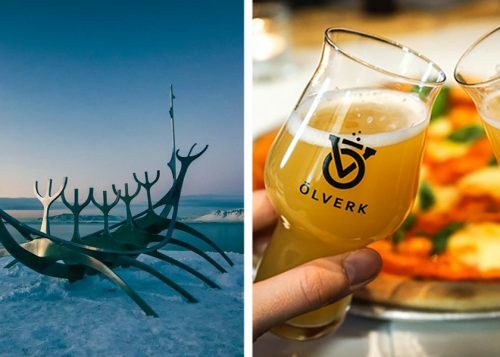 Reykjavik is home to some amazing bars and pubs. The English pub is a place to go if you want a shot of winning free beer (which we all know is beyond expensive in Iceland). Spin the roulette wheel and be in the chance of winning 2, 3 or even more pints of beer. 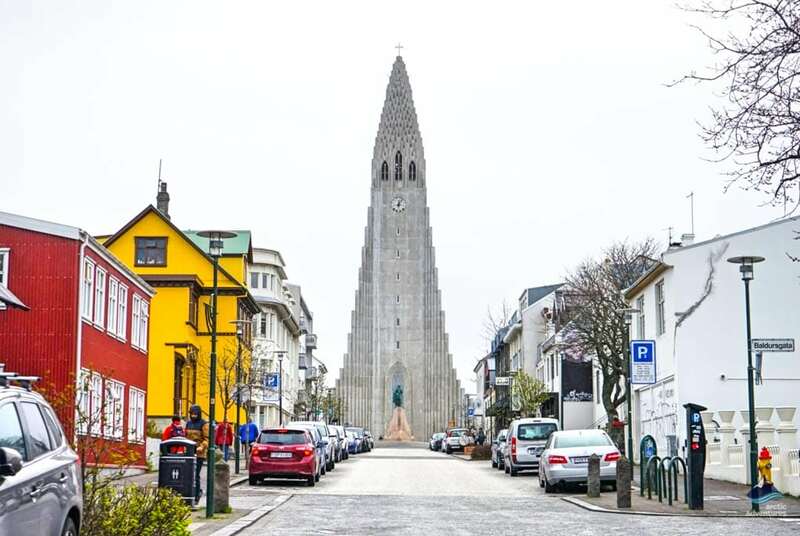 There is a huge range of places to go in downtown Reykjavik. 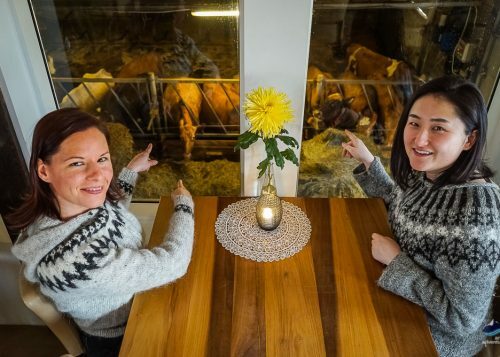 Whether you’re wanting to enjoy a quiet drink or a lively night out, this is a part of Icelandic culture that you do not want to miss out on. I can tell you from personal experience that it is one of the most amazing experiences I’ve ever had. The visibility in the water is crazy! 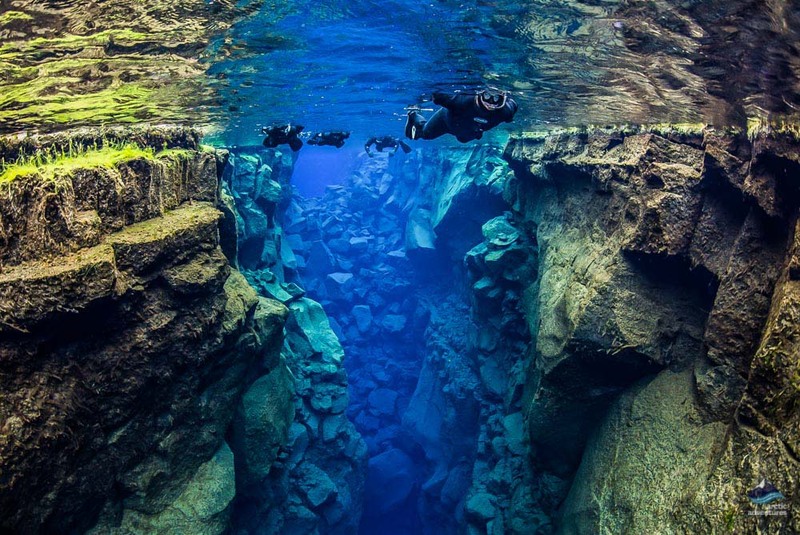 Looking 100 metres down, knowing that you are in the crack of a tectonic plate is just unreal. The experience doesn’t end there, as when you return to the surface, snow-capped mountains and glistening ice sculptures surround you. Doesn’t sound so crazy anymore, does it? New Year’s Eve – yes, New Year’s Eve starts in December, but a minute later and its January. Explosive bursts of light fill the sky above Reykjavik. 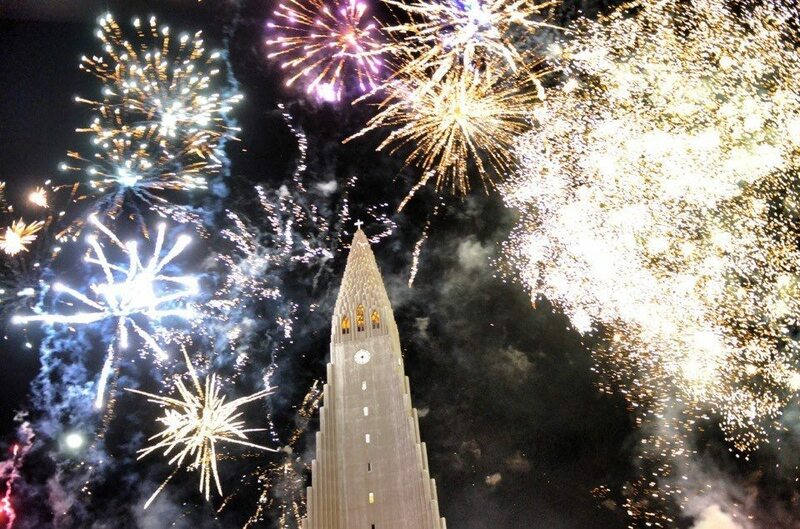 With no planning or harmonization, Icelander’s light fireworks from all parts of the city so expect your senses to be tantalized. Colours fill your eyes, smell of fireworks waft in the air and adrenaline and excitement flow through your body. What a great way to start your new year. Reykjavik International Games – if you’re a big sports fan then this is the perfect event for you. Some of the best athletes that Iceland has to offer! From dancing, skiing, figure skating to martial arts and fencing, there is something for everyone. What an exciting way to spend your day watching the impressive sports people of Iceland. 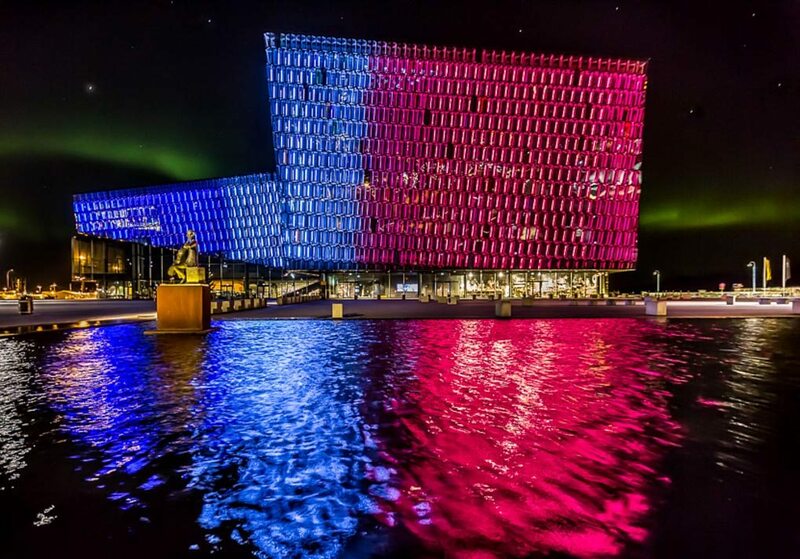 Dark Music Days Festival – in the beautiful architecture of the Harpa the Dark Days Music Festival is hosted by the Icelandic Composers Society. With the purpose to showcase up and coming new artists both national and international, new artists have the chance to share their talents. Þrettándinn: the perfect way to end the festive Christmas season. January 6th is the thirteenth day of Christmas in Iceland. Towns roar with bonfires and firework displays. The famous ‘Yule Lads’ leave the town and head back to the mountains to hide away for another year. One last celebration and a great way to submerge yourself in another culture at Christmas time. Of course all the activities in ‘Things to do and see’ are available on tours. It is well worth booking on to tours for so many reasons, some have already been spoken about. Due to the weather, specialist equipment may be required and the guides are ready with everything that you need. 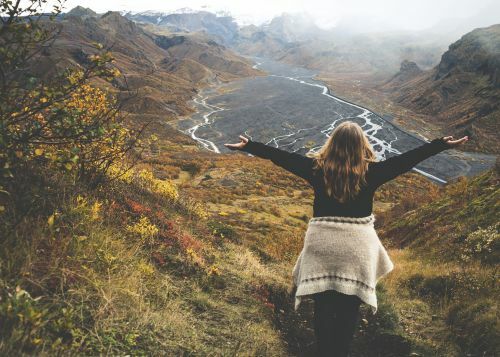 Not only this, but it is the safest option so if you want your time in Iceland to be as stress-free as possible then this is the best option. 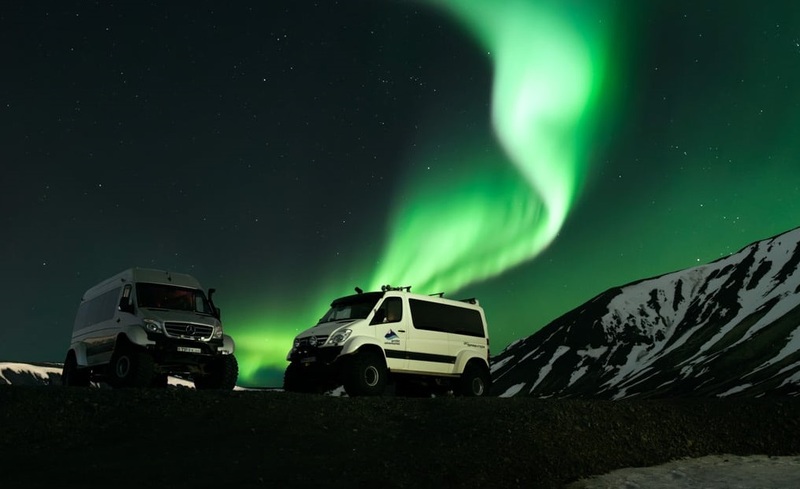 Northern Lights tour – let’s be honest, everyone wants to see this natural phenomenon when they come to Iceland. Read further down, for more information on the northern lights in January, but by booking onto a tour is a much easier way to successfully see them, then wandering around aimlessly on your own not knowing what to look for (which is what I decided to on my first weekend here, take it from me, it probably won’t be successful unless you’re super lucky). The only thing you need to decide is how to see them, boat? Super jeep? Glacier Tours – glaciers, volcanoes and waterfalls all in one trip? These tours are the best ways to ensure that you see some of the most insane natural sights in one go. 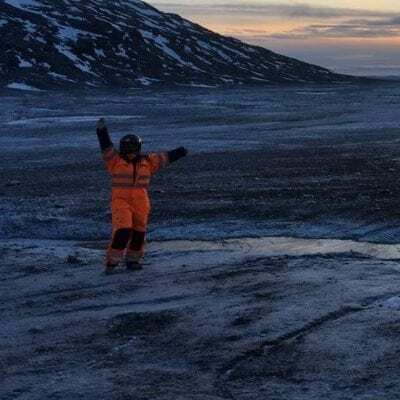 Feeling on top of the world standing on top of a glacier or feeling tiny hidden in a crevasse, either one with leave you in admiration of what our wonderful planet has to offer. Diamond Beach – you can keep thinking that Iceland can’t get any better, but it can. A tour to the south coast is an absolute must! A black sand beach with dazzling ice diamonds! It’s fine, take a moment, I know that thought must be overwhelming. But then imagine this diamond beach filled with snow because it is January. The advantage of going in this month is that the ice is there to stay, bigger and more beautiful than it would be in the Summer. Without a lot of experience driving in icy, snowy unpredictable weather or a 4 wheel drive, you have my permission to skip this section. It’s honestly for your own safety. If you do meet these criteria and really want to hire a car then do your research on what the best cars are to hire and what is the best equipment to get with the cars. This may have to be requested ahead of time so just make sure everything you need is available. Another thing to take into consideration is the closure of roads in this month. Floods, snow and other things can cause the closing of a road. You don’t want to be the tourists that have to come and get rescued because you didn’t listen to the safety warnings, so make sure you’re well aware of the journey ahead of you. Just to add to the stress of having to be rescued, there may also be towing fees or fines and this is just additional factors to make your time in Iceland less enjoyable (stick to the tours if you ask me). Can you see the Northern Lights in January in Iceland? Those short days that we spoke about earlier, is why you’re going to be glad you visited in January. The increased amount of darkness makes it all the more easy to see the colourful marvel that takes place in the sky. In some cases, the Northern Lights can be seen from Reykjavik when it is extremely clear, but in most cases, you need to travel to a place with low light pollution. The further into nature you get the better the chance of seeing dancing lights. 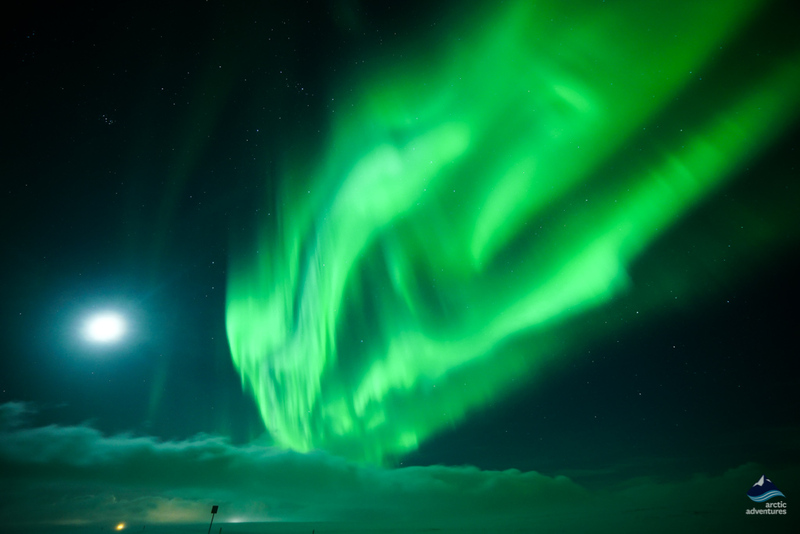 As previously mentioned, there are different ways in which you can watch the Northern Lights. Boats are a great way as you can sail into the ocean and engross yourself in the dark waters to be greeted by a stunning spectacle. Jeeps and minibuses are another great way as it means you can reach terrain that may not be accessible in a normal car. So there it is, everything you need to know about January in Iceland. Know anyone travelling to Iceland in January? 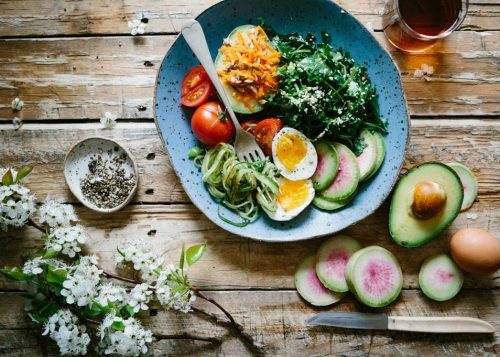 Share this blog with them!